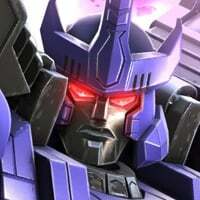 I've been waiting for some brand new bots like Crosshairs, Jazz and KABAM is adding some more beast wars characters. I mean I AM NOT COMPLAING but this is just many TFTF players's wishes. We've had enough of BW! Optimus Primal, Cheetor, Dinobot, Rhinox and more! So KABAM, if you are watching this, please add some brand new bots. I know you like Beast Wars. And I am not complaining about it but still if you can add these brand new bots, then it'll be great! You Don't have to agree. I am just saying my opinion. You know he's talking about mv, stop being a dush. 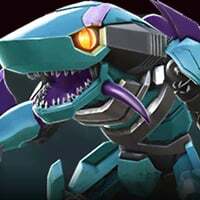 "Transformers: Forged to Fight - Character Suggestion Thread"
Absolutly I agreed, We are seeing beast wars They are in everywhere, They need to change their future bots ideas. 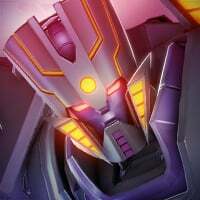 Don't forget Soundwave's synthesthesia that comes as a symptom of his outlier abilities. I often wonder with all the colorization they've done with Primal and G1 Bee's sp3's that they couldn't have done the same with Soundwave's sp3. Would've been a cool little homage to him and how he sees the world around him. Hey guys do you think we should add jazz to the game? You have a problem, my good sir. Not t just specifically more beast wars. More predacons. We have way too many maximals and just one predacon? 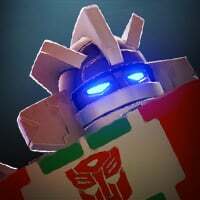 Prime, bee, ih, drift, hound, hot rod, megs, bone, mix, grindor, Barry vs 5 bw bots? I think we need more preds.